It gives me no pleasure to write that, like vultures, you can count on Climate Central to swoop in after a disaster with a study that attributes the disaster, whatever it might be, to global warming. 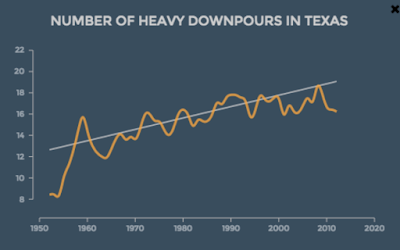 Here is a graph of Texas heavy rain from yesterday's article. There is only one problem: It doesn't tie to global temperatures. 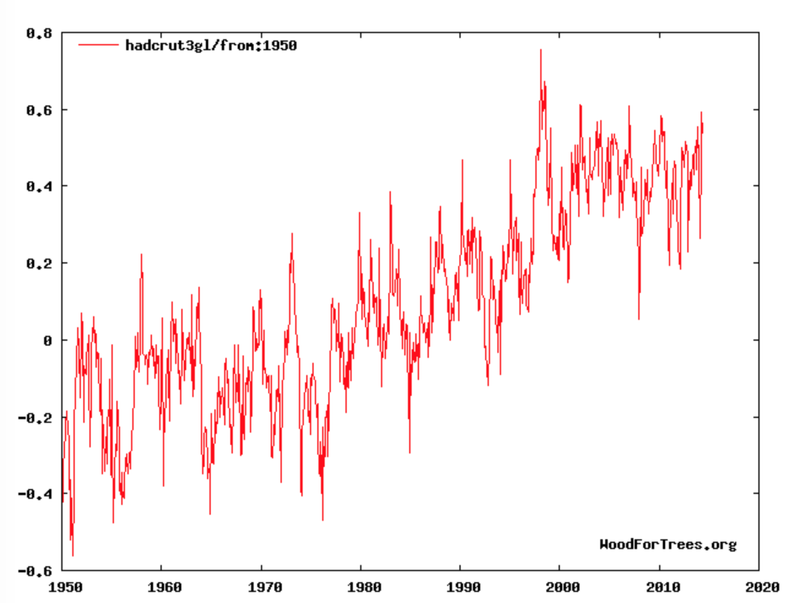 Below is the plot of global temperatures from 1950 to 2014. 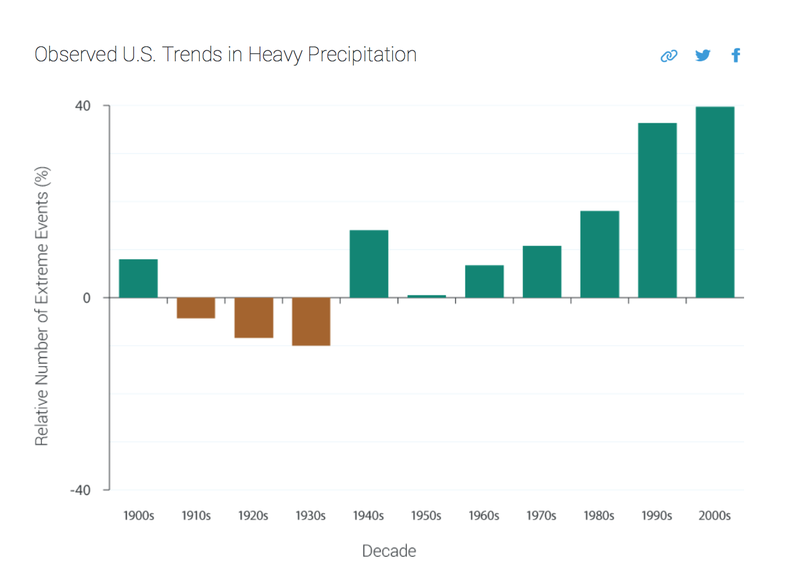 Climate Central shows a huge rise in heavy rain from 1950 to 1977. 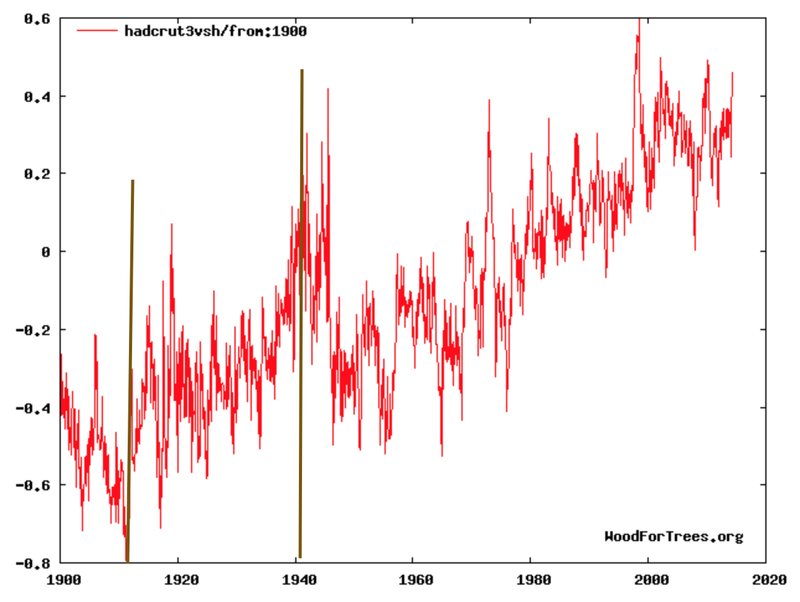 But, temperatures during that period were flat (compare graphs). 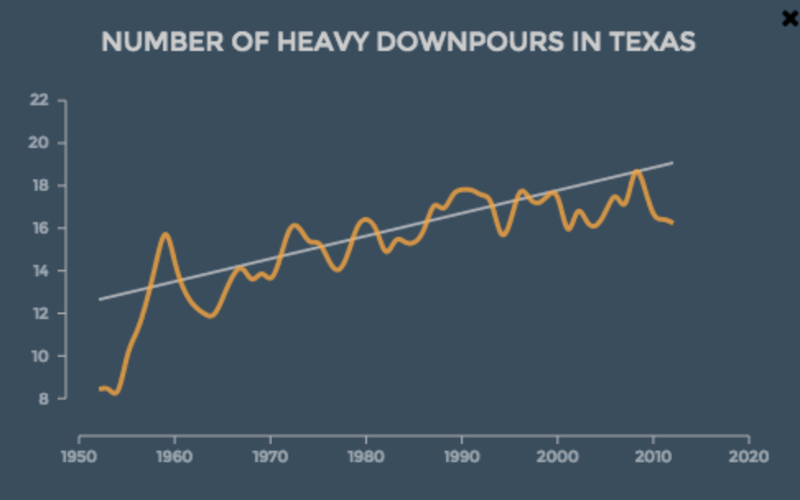 Temperatures rise rapidly from 1978 to 1998 but the rate of rise in Texas heavy rains is the same. In fact, the 'rise' in heavy rains is actually flat from about 1990 to 2014 (upper graph). But, it isn't just Climate Central that incorrectly tries to tie temperatures to heavy rain. The U.S. government has made the same mistake. Their study is for the entire nation. Note the decrease in heavy rain from 1910 to 1940 (brown bars). Now, compare world temperatures from 1910 to 1940 (graph below with brown vertical lines from 1910 to 1940). 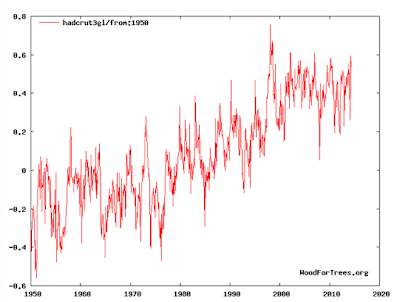 Temperatures are rising rapidly, at least as rapidly as the 'man made' global warming from 1978 to 1998! That would show an opposite correlation to the one claimed. 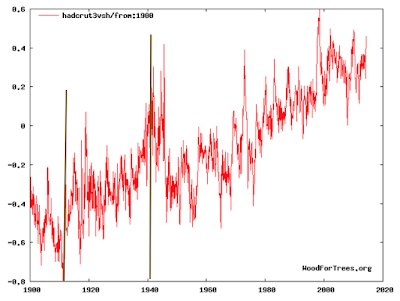 And, the study shows heavy rain increasing in the 2000's even though temperatures were flat to even slightly down. What these two studies inadvertently prove is that U.S. heavy rain is not tied to world temperatures. How much of the alleged increase in "heavy rains" is in fact due to better reporting (more reporting stations, shorter sampling intervals, etc.) letting us know about such storms that would previously have gone unreported? Hard to say. Both sides are big on claims but less so on methodology. Not sure I buy into that "Heavy Downpours" chart. Supposedly Texas was in a drought the last 3 years, but I don't see it. Was the drought not real? Or does heavy downpours not correlate to rainfall volume? Clay: Climate Central is strong on claims and not too good on methodology. I went to a link that was supposedly to the "study." It was more like a press release. So, I went to their web site. If there is an in-depth study (i.e., scientific paper quality), I can't find it.